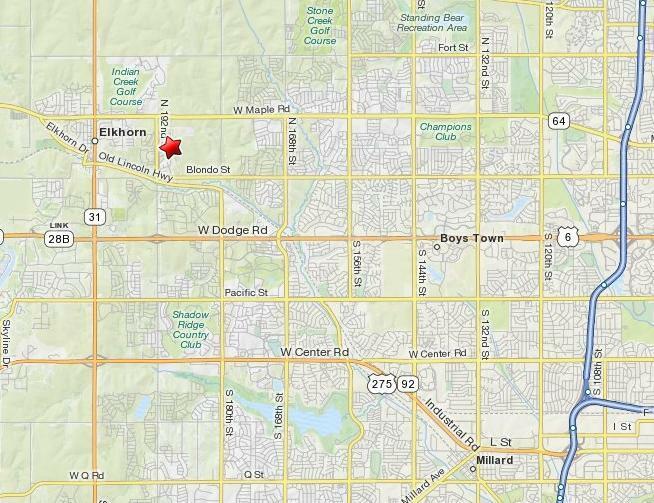 Elkhorn Highland Ridge is a new residential subdivision in Northwest Omaha located east of 192nd Street between Blondo and Maple Streets. Situated in the exceptional Elkhorn School District, this community is conveniently placed near the quaint town of Elkhorn yet provides quick access to the benefits of Omaha city living. A multitude of plan styles has given this housing community a unique feel providing comfort to a variety of households. Elkhorn Highland Ridge offers something for every lifestyle, price range, and family. We invite you to tour this area in an effort to appreciate all it has to provide for you and your family. The content within this website may not be republished, in any manner, without written consent from Elkhorn Highlands, Inc. All graphics displayed on this site are representations only and may vary from the actual products. Website content is deemed reliable but not guaranteed. Content is subject to change without notice.